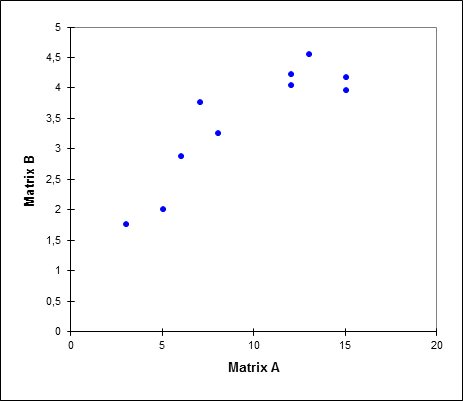 The Mantel test tests the correlation between two proximity matrices. 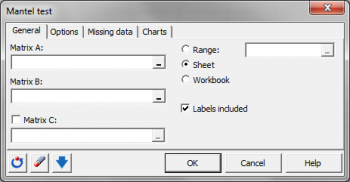 Available in Excel using the XLSTAT add-on statistical software. 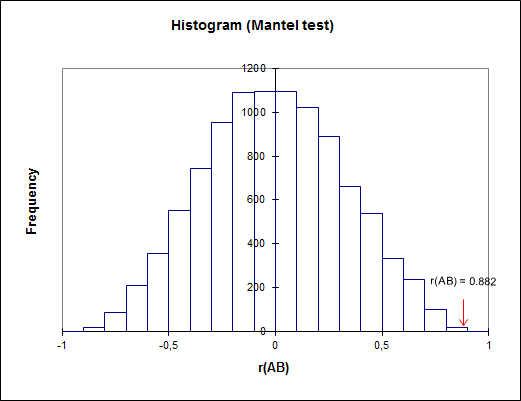 The Mantel test measures and tests the linear correlation between two proximity matrices (simple Mantel test) or between two matrices while taking into account the linear correlation with a third matrix (partial Mantel test).